Patricia Irene (Irina) Dunn was born on 17 March 1948 in Shanghai, China, the eldest of two children of Timothy Edward Dunn and his wife Raisa Andreevna, née Yakimenko. Irina's mother was of Ukrainian origin while her father, who was also born in Shanghai, was of mixed Irish, Portuguese and Chinese ancestry. Timothy Dunn worked on the North China Daily News and was aligned with the ruling Kuomintang (Nationalist Party). When the nationalists lost power to the communists in 1949, the family fled to Hong Kong where Timothy built a successful business. In the early 1950s the Dunns moved to Australia, living in Sydney, at Cammeray and then Mosman. Irina's parents were divorced several years later. After Timothy Dunn went bankrupt in 1962, Raisa Dunn and her children moved to Ashfield, and Raisa found work on factory production lines. Irina, who had attended the Anglican private school SCEGGS Redlands, completed the last two years of her schooling at Strathfield Girls High School. She graduated from the University of Sydney with an honours degree in English in 1971, and spent three years tutoring in English literature, before opening a French restaurant in Balmain, and then working as an editor. Dunn was naturalised as an Australian citizen in 1974. Dunn, who described herself as 'ferociously independent', was a political activist from her student days. Her first experience of attracting media attention was in 1977, when she complained to a recruitment firm about sexism in their advertisements. Though she wrote the letter as a private citizen, Dunn, then a senior editor with Pergamon Press, attached her business card to the letter, an action which led to her being sacked by her employer. Dunn's dismissal was featured on the front page of the Sydney Morning Herald; two weeks later, she resumed work with Pergamon in a freelance capacity. By 1979 she was employed by the NSW Department of Corrective Services, producing the department's magazine, INprint. On 3 May 1981, Dunn married jail reform activist and convicted armed robber Brett Anthony Collins. The couple divorced in 1984 but remained on good terms. In 1983 Dunn co-produced and directed the film Frame Up, about the bombing of Sydney's Hilton Hotel in 1978, and the consequences for three members of the Ananda Marga sect who were suspects in the case, and who in 1979 were convicted of conspiracy to murder for another matter. Dunn's film, which the Sydney Morning Herald described as 'sharp, clear and painstakingly researched', was an important contribution to the campaign to free the three men, who were pardoned in 1985. In 1984 Dunn made another film, Fighting for Peace, about women peace activists. At the time of her election to the Senate, Dunn was editor of the film industry magazine Encore. Dunn became a member of Parliament in unusual circumstances. A founding member of the Nuclear Disarmament Party (NDP) in 1984, she was the second-placed candidate on the party's NSW Senate ticket at the election of 11 July 1987. The NDP had declined from the height of its popularity in 1984, when rock singer Peter Garrett (later to become a Labor MHR) was the party's high profile Senate candidate in New South Wales, attracting 9.6 per cent of the first preference vote. Although in 1987 the party received only 1.5 per cent of first preference votes in New South Wales, as it was a double dissolution election in which all twelve Senate places were to be filled, a quota of only 7.7 per cent of votes was required for election. The NDP's first-ranked candidate, (William) Robert Wood was the last senator elected after the distribution of preferences, and took his seat in the Senate for a term due to expire on 30 June 1990. However, Wood was British-born and had neglected to apply for Australian citizenship. His eligibility to be a member of parliament was challenged on this basis in the High Court sitting as a Court of Disputed Returns, which declared his election invalid. The court ordered a recount of the ballots to determine Wood's replacement, resulting in the election of Dunn on 21 July 1988. The drama was not over. Wood had, in the intervening period, become an Australian citizen and was now eligible to sit as a senator. The NSW branch of the NDP asked Dunn to resign her seat, which would bring about a casual Senate vacancy and allow Wood to be appointed by the NSW Parliament. Dunn refused her party's request, claiming that her resignation would open 'a Pandora's box of legal and constitutional difficulties' which might disenfranchise 'those voters who wanted a strong anti-nuclear voice in the Senate'. She suggested that the NSW Greiner Liberal government might fail to nominate someone acceptable to the NDP, and argued that she was perfectly capable of undertaking the role. Dunn also said that when she realised the resources of Parliament and the opportunities it offered as a 'forum', she 'saw the opportunity ... to do something really marvellous'. The NDP reacted by a vote of no confidence in Dunn, and she resigned from the party on 22 August 1988, the day she was sworn as a senator. In her first speech, Dunn asserted that, although she was entering the Senate as an Independent, she continued her commitment to the platform of the NDP. She spoke of the proliferation of nuclear weapons world-wide and urged that Australia desist from the mining and trading of uranium, attacking ALP proposals to export enriched uranium from the Northern Territory, and questioning the value of nuclear power for civil purposes, as an unsatisfactory and 'economically suspect' energy source. She described the 'so-called' joint US/Australian bases at Pine Gap and Nurrungar as 'offensive to Australian sovereignty', and spoke of the dangers of allowing visits of nuclear armed warships to Australian ports. In 1989 Dunn was a member of the Senate Standing Committee on Foreign Affairs, Defence and Trade, which as a result of its inquiry into visits to Australia by nuclear-powered or armed vessels, recommended a partial ban on nuclear ships in some ports. Dunn wrote an extensive dissenting report, arguing that all nuclear-powered or armed ships should be excluded from Australian ports. On the day the report was to be released, Dunn briefed media representatives about its contents, but pressure of business in the Senate meant that the report was not tabled until the following day. The Committee of Privileges investigated the 'possible unauthorised disclosure' of the report prior to its tabling in the Senate, and concluded that although Dunn's briefing was 'premature', under the circumstances no further action was warranted. During Dunn's time in the Senate the distribution of seats among the parties was such that the seven Australian Democrats senators effectively held the balance of power. Only when the Democrats were divided, or some of them were absent, did Dunn's vote have a decisive bearing on an outcome. For example, in December 1988 an urgency motion calling for the sacking of the Minister for Aboriginal Affairs, and a censure motion directed at the Prime Minister in relation to the conduct of Indigenous affairs, would have been carried but for her vote. Dunn's activism was not limited to anti-nuclear issues. She was arrested twice while attending protests against logging in the forests of south-east New South Wales, and in Parliament she often criticised the government on environmental subjects. When in 1989 one of the Ananda Marga trio, Tim Anderson, was arrested and charged with the 1978 Hilton Hotel bombing, Dunn raised the matter in the Senate (Anderson was convicted in 1990, but acquitted on appeal in 1991). An advocate of women's rights, Dunn spoke in the Senate on gender issues, introduced bills to improve conditions for women, and supported the provision of childcare at Parliament House. In interviews she frequently drew attention to the gendered nature of politics. She also discussed abortion on several occasions, making clear her strong pro-choice position. It is with great distress that I rise to speak on a piece of legislation that I believe many honourable senators on both sides of this chamber wish had never arisen and wish had never been introduced ... Many people came to Australia after the war years, including my own family, to put behind them the turmoil of conflict, and to settle in a country far removed from the world's wars. This legislation undoubtedly will resurrect the spectre of those terrible years between 1939 and 1945 and will bring much bitterness to the fore. After carefully outlining arguments on both sides, Dunn concluded that the possibility that war criminals would live unexposed in the Australian community was intolerable, and she voted for the bill. Dunn's career was mired in controversy, and never fully recovered from the circumstances surrounding her election. Her sometimes naive radicalism made her a regular target for press criticism. In 1989 Dunn joined Victorian state Labor MLCs in travelling to Libya. They planned to meet the Libyan leader, Colonel Muammar Gaddafi, and visit an industrial site claimed by Libya to be a pharmaceutical factory and by others to be a facility for manufacturing chemical weapons. The journey attracted a storm of unfavourable coverage in the media, and the visit to the plant ended in farce, without guides or interpreters and without access inside the buildings. The Australian published fierce denunciations of Dunn and her fellow travellers, calling them 'a disgrace to Australia', and their opinions 'hogwash'. The Sydney Morning Herald agreed that the visit was ill-advised, but considered that 'only Senator Dunn appears to have emerged from this dubious expedition with any credit', nevertheless suggesting she was 'soft-headed' for having gone. Dunn received more media coverage when she became the centre of a row over public housing. She had been the long-term occupant of a flat in the inner Sydney suburb of Glebe. When she originally lived there it was the property of the Anglican Church but was sold to the federal government in 1975 and to the NSW Housing Commission in 1985. Existing tenants, including Dunn, were able to stay where they were. This did not prevent her being condemned for living in subsidised housing, and the Liberal NSW Minister for Housing, Joe Schipp, singled her out for criticism. Dunn volunteered to pay market rates from the date of her appointment as a senator, arguing she had done all that was required of her. She called the incident 'the most searing experience of my political life', and she considered Schipp's conduct to be 'appalling and a breach of normal privacy'. 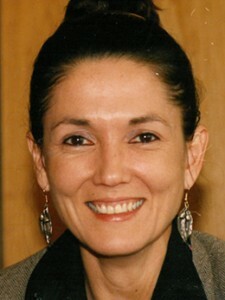 At the election of March 1990, Dunn headed a party ticket, Irina Dunn Environment Independents. She was defeated, receiving less than one per cent of first preference votes. After leaving the Senate, Dunn helped form a non-partisan group, Women Into Politics. She contributed to the organisation's conferences and seminars and edited A Women's Charter for Political Reform 2001. Dunn lectured for six months at the University of New England, and became director of the New South Wales Writers' Centre in December 1992, a post she held until her resignation in 2008. In 1999 she published The Writer's Guide: A Companion to Writing for Pleasure or Publication. Dunn's service in the Senate was, like much of her activism, radical, colourful and an accident of circumstance. Cheerful at her departure from Parliament, in her valedictory speech she expressed gratification at the way in which 'senators with different political allegiances have worked together in this chamber and in committees on matters of genuine importance'. Dunn summed up her situation: 'Having barely recovered from my surprise at being here and having, if not greatness some notoriety, thrust upon me, I am now about to leave'. The author thanks Ms Irina Dunn for providing documents and assistance with research. Dunn's immigration and citizenship records (NAA N73/22708) give her name as Patricia Irene Dunn, although she was sworn in the Senate as Irina Patsi Dunn. A birth certificate has not been sighted. Irina Dunn, 'Careering through life', in Jocelynne A. Scutt (ed. ), Breaking Through: Women, Work and Careers, Artemis Publishing Pty Ltd, Melb., 1992, pp. 91–9; 'Profile: Senator Irina Dunn', House Magazine, 8 March 1989; Media Release, Senator Irina Dunn, 1988. Caroline Lees, 'Rebel with lots of causes', The Bulletin (Syd. ), 19 Sept. 1989, pp. 140–4; SMH, 12 Jan. 1977, p. 1, 26 Jan. 1977, p. 3, 19 Nov. 1983, p. 43; Sunday Telegraph (Syd. ), 21 Aug 1988, p. 48. SMH (Good Weekend), 30 July 1988, p. 54; Australian (Syd. ), 3 June 1988, pp. 1–2; Re Wood  HCA 22; CPD, 25 Nov. 1988, pp. 2934–6; SMH, 8 June 1988, p. 3; Office of Senator Irina Dunn, Peace Paper, Issue 2, Sept. 1988, pp. 1–2. CPD, 31 Aug. 1988, pp. 618–25; SMH, 23 Aug. 1988, p. 2; Senator Irina Dunn, 'A dissent ... ' in Standing Committee on Foreign Affairs, Defence and Trade, Visits to Australia by Nuclear Powered or Armed Vessels, Canberra, 1989, pp. 523–81; CPD, 6 Sept. 1989, pp. 1104–6, 21 Dec. 1989, pp. 5061–2; Senate Committee of Privileges, Possible Unauthorised Disclosure of Senate Committee Report, 20th Report, Dec. 1989; Senate, Journals, 6 Dec. 1988, p. 1250, 7 Dec. 1988, p. 1262; Australian (Syd. ), 29 March 1989, p. 4; CT, 15 Sept. 1989, p. 5; Irina Dunn, 'When the chips are down', The Bulletin (Syd. ), 11 April 1989, pp. 124–5; CPD, 10 May 1989, pp. 2182–6; 30 May 1989, pp. 3063–6, 22 Nov. 1989, pp. 2991–6, 13 Dec. 1989, pp. 4464–6, 31 May 1990, pp. 1550–4, 9 March 1989, pp. 772–3, 15 June 1989, pp. 4056–60; Transcript, ABC Radio, 'Ring the Bells', 17 July 1989; CPD, 30 May 1990, pp. 1393–4; CT, 15 June 1989, p. 4; CPD, 12 Dec. 1988, p. 3915; Media Release, Senator Irina Dunn, 9 May 1989; Irina Dunn's Newsletter, Dec. 1989, p. 4. CPD, 16 Dec. 1988, p. 4389. Australian (Syd. ), 14 Jan. 1989, pp. 1, 11–12, 19 Jan. 1989, pp. 3, 10; SMH, 21 Jan. 1989, p. 34; CPD, 2 Nov. 1988, pp. 1775–6; Australian (Syd. ), 2 March 1990, p. 6. Irina Dunn (ed), Getting Women Into Politics, Women Into Politics, Syd., 1993; A Women's Charter for Political Reform 2001, Women Into Politics, Syd., 2001; Irina Dunn, The Writer's Guide: A Companion to Writing for Pleasure or Publication, Allen & Unwin, Syd., 1999; CPD, 31 May 1990, pp. 1666–8. This biography was first published in The Biographical Dictionary of the Australian Senate, Vol. 4, 1983-2002, Department of the Senate, Canberra, 2017, pp. 107-110.